HMG LINKS Ltd is a local multi-sector recruitment company focused on tailor made solutions for its partners’ human resources needs on the Bulgarian labour market. 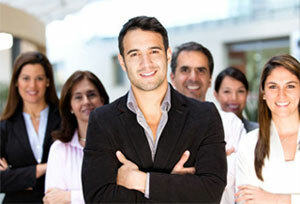 Our staffing experts are the most highly recognized in the industry with over 5 years of experience. Each HMG LINKS member brings competence, skill and acumen across a variety of specialties and industries. Our wealth of knowledge converges with a nimble and flexible entrepreneurial spirit to provide a truly unique and fully customized experience for clients and job seekers alike. Our focus on integrity, long term relationships and simply being “good to do business with” has made us a success story in a short period of time. We focus exclusively on finding and placing the very best applicants in the job market. We work hard to ensure that all of our applicants are treated with respect and are afforded equal opportunity to perform quality work. We value our applicants and are committed to offering meaningful employment in safe and suitable workplace conditions. We are honored by the numerous employees who have placed their trust, confidence and career goals in our company. Our aim is to provide a highly professional, tailored recruitment service that meets all present and future demands of our clients, thus enabling them to achieve the optimum goal by reducing cost and time to fill the specific vacancy. With a comprehensive and in-depth understanding of industry trends and labour culture, backed by reliable resources, we are competent and efficient in putting the right people, the right skills and the right technologies together to help our clients improve their performance. What makes HMG LINKS a unique partner is the combination of a ‘recruiting excellence’ strategy and ‘our word is our bond’ ethos. We guarantee you the best fit for your needs. HMG LINKS is committed to offering the best talent management solutions that create sustainable results to our client companies and enhance the quality of life of our applicants. We are dedicated to providing our clients with service that encompasses respect and integrity. We will search and find for our client companies nothing but the VERY BEST! Our links are bridges to your success.